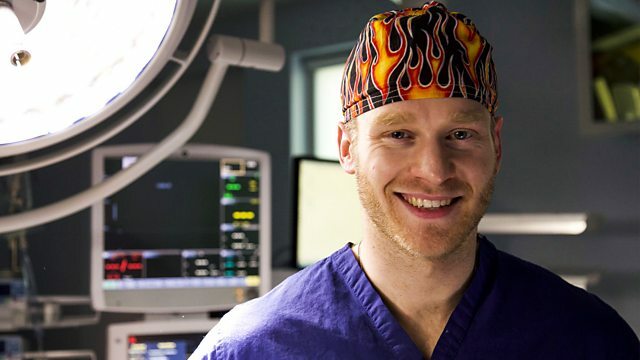 Stacey Dooley, Jonnie Peacock, Ann Widdecombe and Michael Mosley work alongside staff at King's College Hospital to find out what it takes to keep the nation alive. At King's College Hospital, reporter Stacey Dooley, Paralympic gold medalist Jonnie Peacock, ex-politician Ann Widdecombe and medical journalist Michael Mosley work alongside hospital staff to find out, from the people who know the NHS best, just what it takes to keep the nation alive. In the second episode Ann tackles the bed crisis head-on by becoming a bed manager. Stacey, who had a heart murmur as a child, discovers how the country's biggest killer is affecting the NHS, as she works in Kings College Hospital's cardiac unit - the first of its kind to treat heart attacks while they're happening. In the maxillofacial department, which treats injuries and diseases of the head and neck, Michael wants to find out what stops junior doctors leaving despite facing up to 18 years of training before they can become a consultant. And having spent many months in a hospital as a child, Jonnie explores how they look after their most vulnerable patients - emotionally as well as physically.